It’s obviously no secret that travelling in Iceland isn’t exactly friendly on the average person’s pocketbook. The Land of Fire & Ice is notoriously known for being insanely expensive to travel through, but it hasn’t stopped adrenaline hungry and landscape loving travellers one bit. Tourism in Iceland has actually shot up exponentially in the last decade all thanks to Iceland Air and WOW Air’s cheap flights from North America and also Iceland Air’s amazing stopover program. Iceland is an absolute mecca for adventure travel and nature lovers alike and is pretty famous for its otherworldly lunar-like landscapes, thundering massive waterfalls, active volcanoes, bursting geysers and of course, those rugged fjord hiking trails that seem to jut out of the Earth below. Oh, and not to mention the Northern Lights that dance in the sky during those clear fall and winter nights. Like I’ve mentioned before in my post about travelling to Norway on a budget, don’t let the prices associated with a country turn you off from ever wanting to explore it in fear that you’ll come back with more debt than memories. Yes, Iceland is expensive, but the experiences you’ll have and the wonderful scenery you’ll see is nothing short of priceless. Here are some ways to save some cash while travelling through Iceland that won’t sacrifice your once in a lifetime adventure. And hey, you might save enough Krona to do some really cool excursions too! 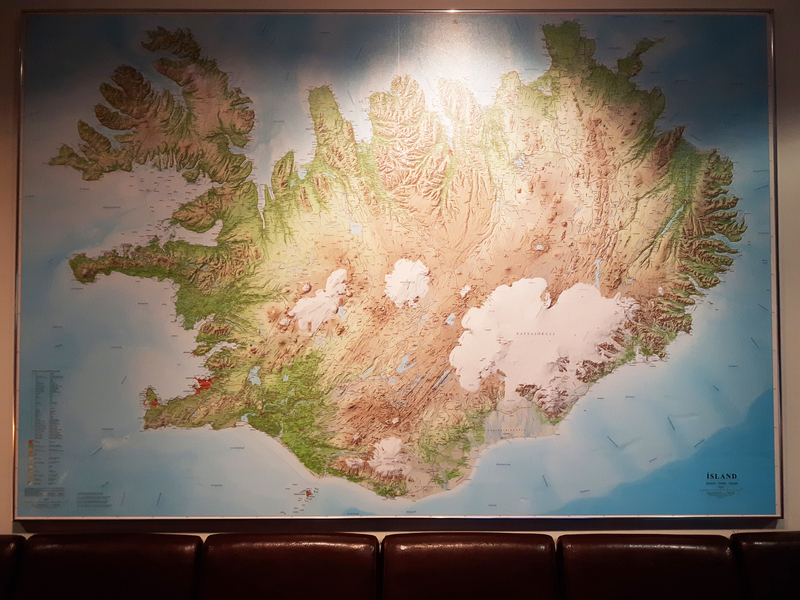 Iceland is a place where a bit of research and planning goes a long way, especially if you plan on moving around the country from town to town. With the amount of tourism skyrocketing in the last few years, booking a hotel, or any type of accommodation well in advance is crucial. I highly recommend booking your accommodations at least five months in advance if you can. By doing so, you’ll save the hassle of trying to find a place to rest your head at the last minute and avoid paying excruciating prices. I’ve heard through the grapevine, that some places may charge up to $300 CAD per night if booking last minute during peak season. That’s just crazy! 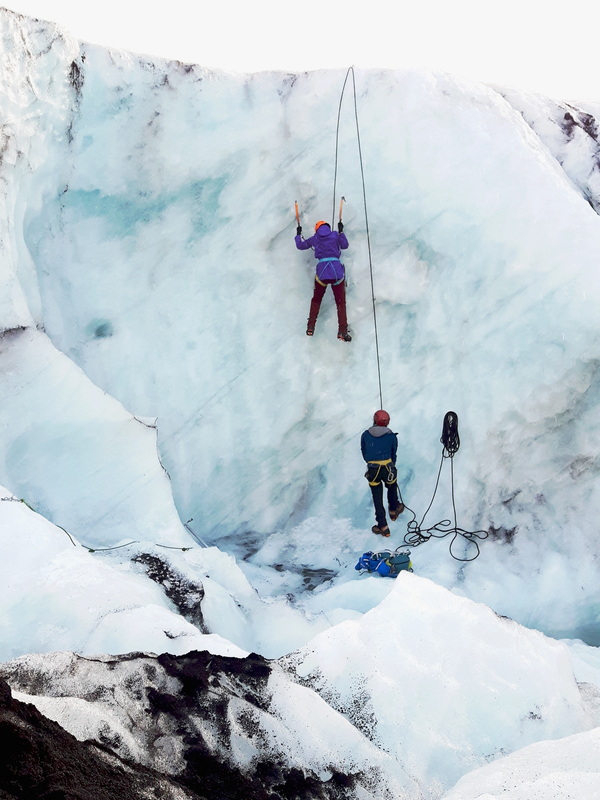 As soon as you find out that you are heading to Iceland, do yourself a favour and figure out a game plan. Where do you want to visit? Will you sleep there, or simply visit as a day trip? How will you get from the airport to your first night’s accommodation? All of these questions will impact how much money you’ll be spending, so as soon as you come up with a loose itinerary, hop on a site like Booking.com and lock down those hotels, apartments, or guesthouses! I’m going to be real with you guys and say that the most of the accommodations in Iceland are not cheap. Even places in the middle of nowhere aren’t exactly budget friendly. When searching for a hotel, I always, always, ALWAYS use Booking.com because if you create an account and give enough hotel reviews when you stay places booked through their site, they award you by bumping your status up to “Genius Level”, which unlocks a ton of hotel deals. 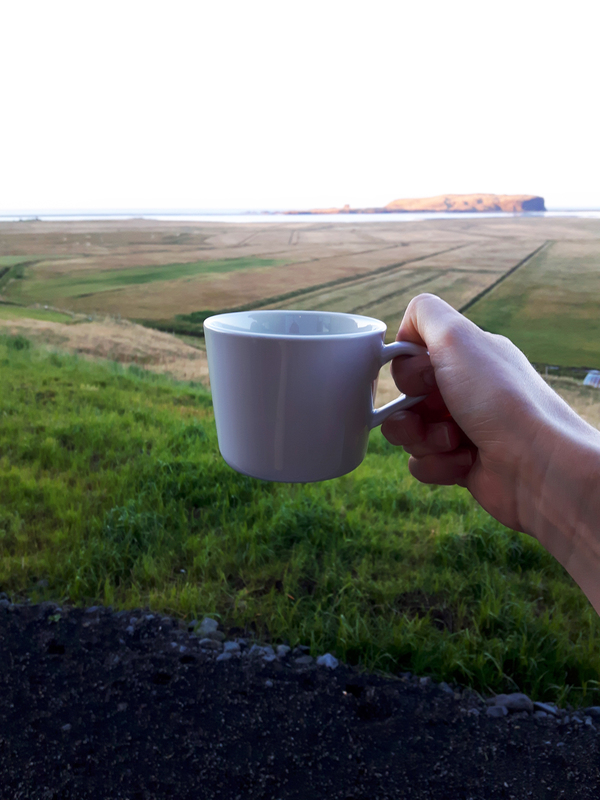 You also have the option to filter accommodations by choosing if breakfast is included with your stay and in a country that is pricey as Iceland, you’ll save loads of money on breakfast by filling up at the buffet. Trust me, you and your wallet will thank me. If you’re like me and love travelling solo most of the time, this may be the one time where you might want to bite the bullet and travel with a buddy. By bringing a friend along for your Icelandic journey, you’ll both save a ton of cash by splitting the costs on most things on the trip. Instead of paying over a thousand dollars on accommodations for a week, or longer, you’ll be paying half of that and that extra money can be useful for doing an excursion you really wanted to do while exploring the Land of Fire & Ice. 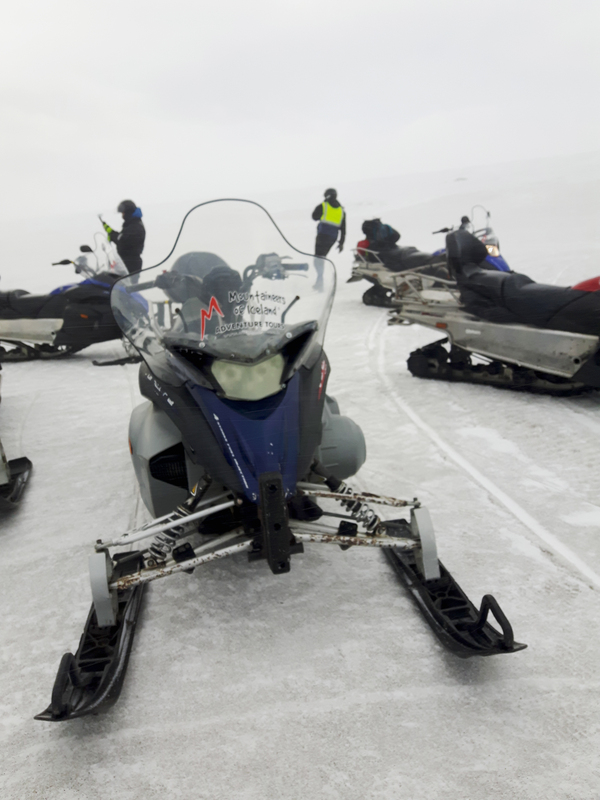 I saved enough money by travelling with my friend and had the chance to rip a snowmobile on Langjökull Glacier, the second biggest glacier in Iceland, hike and scale Solheimajökull Glacier and snorkel in the Silfra Fissure, which took us between two continents (North America and Eurasia) and their tectonic plates, all while floating through some of the freshest and clearest water in the entire world. Yes, the excursions are a tad pricey, but when will be the next time that you’ll get to do these amazing things again? Sometimes you just have to treat yo’self! 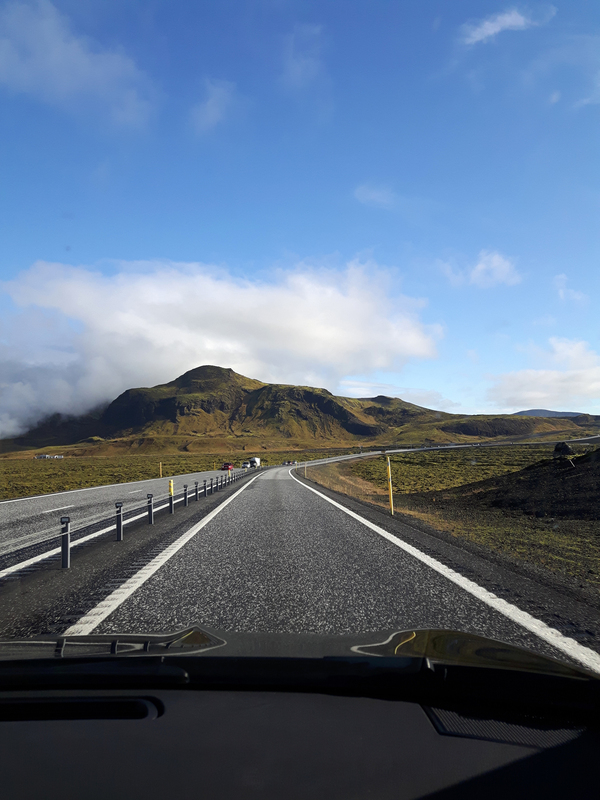 Embarking on an epic Icelandic road trip is like a right of passage for any traveller visiting Iceland, so renting a vehicle while in the country is a no brainer. It also provides a level of flexibility to your travels like you wouldn’t believe. Go where you want, when you want. 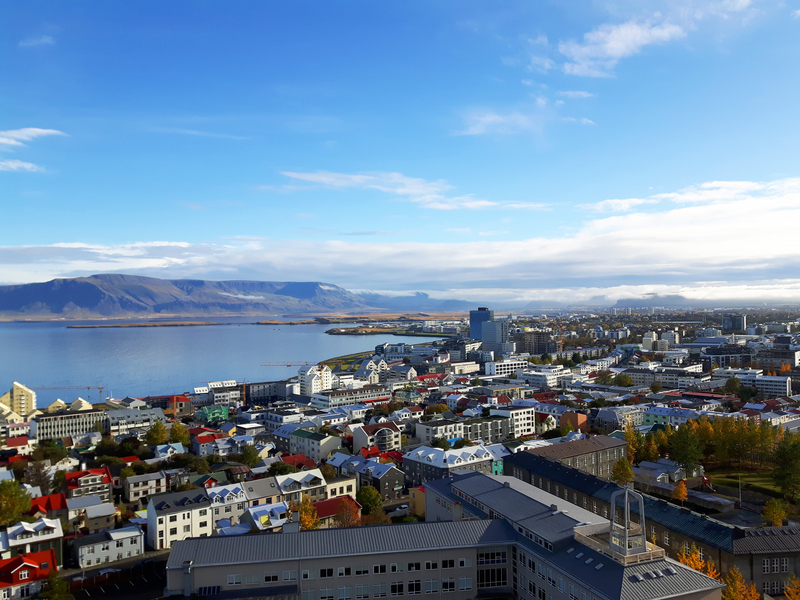 Most car rental companies are based around the Keflavík International Airport just outside of Reykjavík, which makes accessing a car very easy. A lot of the smaller car rental places will actually pick you up straight from the arrivals area of the airport and take you to their offices, so you can pick up your car without the hassle and costs of getting a cab. Even if you take the 45 minute shuttle bus into Reykjavík from the airport, you’re looking at a cost of about $30 CAD one way. Remember how I mentioned that travelling with a friend will reduce your costs in half? Renting a vehicle is one of those money savers. Yes, gas is insanely pricey at about $2 CAD a litre (approximately $8USD a gallon) and that cost will change depending on the market obviously, so prices may and probably will fluctuate. The bigger vehicle you get, the more gas will cost. The more driving you do, the more gas you’ll need. Do you see the pattern? We opted to get a 4×4 automatic transmission Suzuki Jimny, which was surprisingly amazing on gas. It still cost about $105 CAD to fill it though, but on days we did excursions and got picked up, we barely moved the car from our hotel. 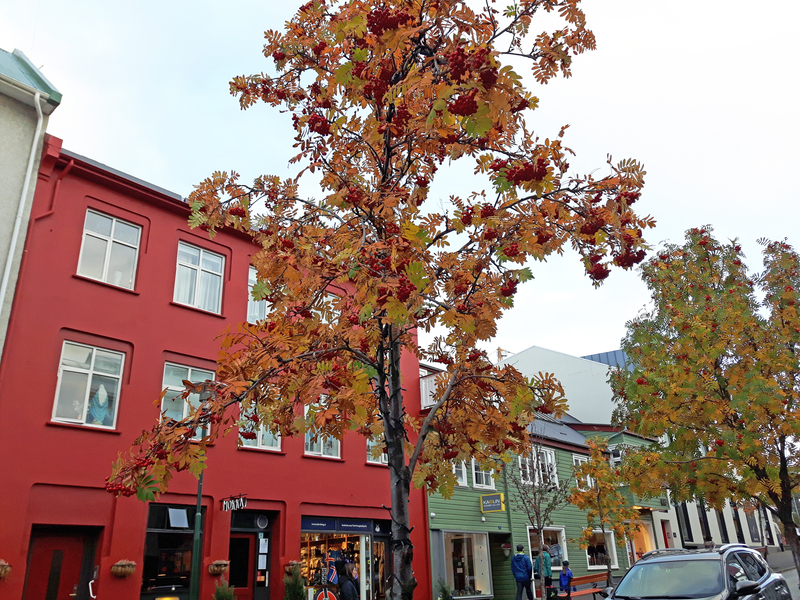 For the time we were based in Reykjavík, we mainly walked everywhere in town. It was a HUGE money saver on fuel. If you don’t feel like staying in a hotel, or guesthouse, you always have the option to camp. 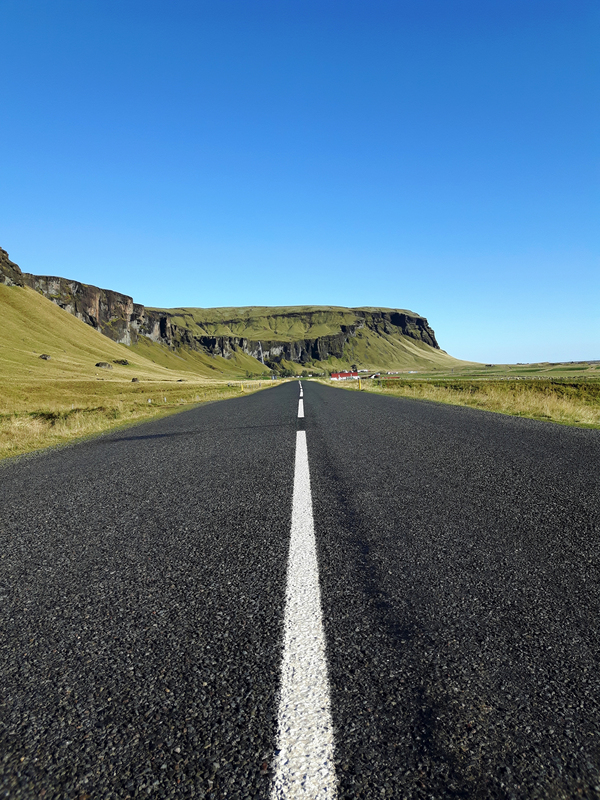 If you rent a camper vehicle, or travel with your own camping gear, you’ll have no troubles stumbling upon the handful of campsites along many Icelandic roads. You’ll need to pay a small camping fee to park there more than likely, but other than that, you’ll have no additional costs to you. Just be mindful to the fragile fauna and environment around you and don’t just park your car anywhere and set up camp. They have designated areas for a reason, so please do your research before setting up for the night. Paying for bottled drinking water in Iceland is like paying for air to breathe. It just doesn’t make sense. Iceland has the cleanest and purest water in the world and can be enjoyed straight from the bathroom tap. I bought one big bottle of water at the airport and continued to reuse and refill that bottle for the entire week of travelling. For those long hikes and chilly weather, pop a teabag of your choice in a Thermos and fill it with boiling water (which you can grab at hotel breakfast buffets, or even some gas stations) to enjoy a steaming cup of tea while enjoying the outdoors. Bonus money saving points if you bring your own teabags from home like I did. Drinking alcohol in Iceland is the perfect way to burn through your hard earned cash really fast. 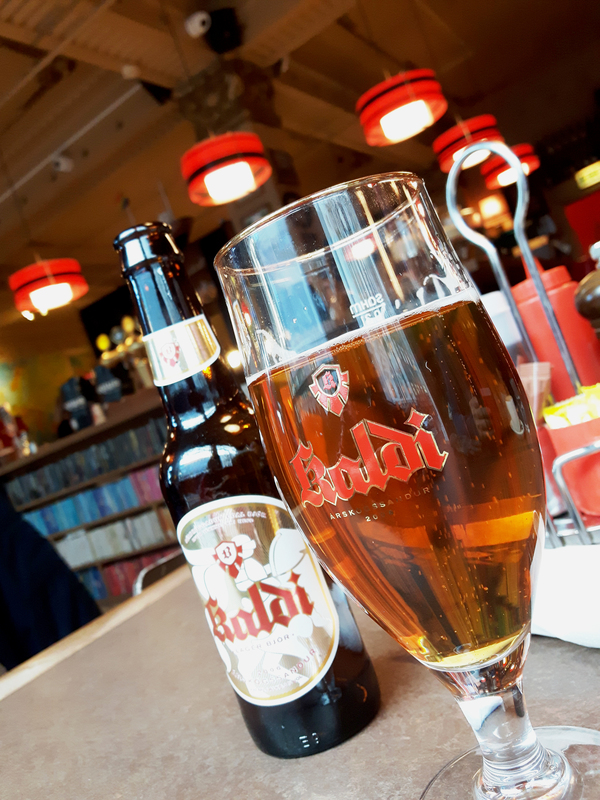 I love sampling a good local beer while overseas just as much as the next person, but at 1100 ISK (roughly $13 CAD) for a bottle of local beer, we definitely took it easy on the alcohol consumption while travelling through Iceland. Reykjavík is known for having some of the craziest and best nightlife in all of Europe and the Icelandic people sure known how to party. Beer was actually illegal in Iceland up until 1989, so maybe all that partying is just the Iceland people doing some major catch up, but if I were you, I wouldn’t try to keep up while having a night on the town. You’re more than likely to leave the bar with over $100 CAD bar tab. Alcohol is said to be taxed up to 50%, so if you DO need alcohol while on vacation, it’s always a wise idea to hit up the duty free shop at the Keflavík International Airport when you land in Iceland. 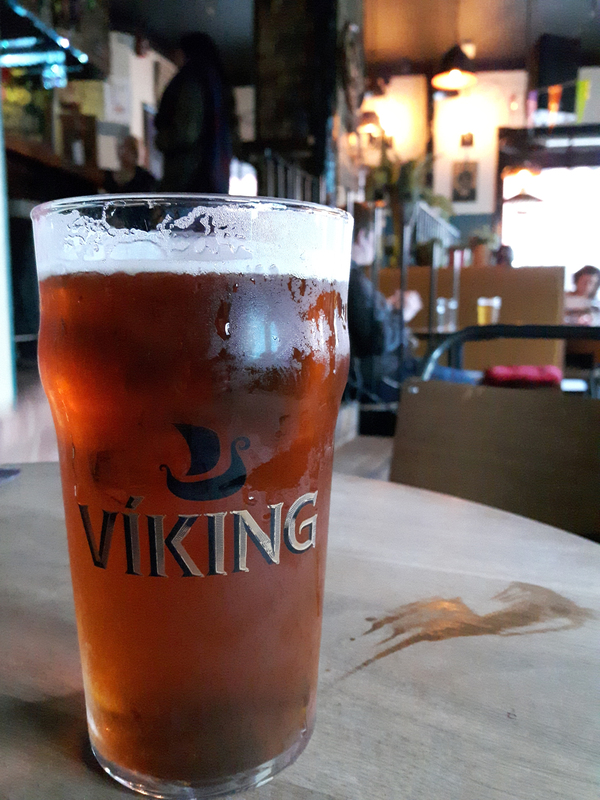 Another way to save some cash on alcohol when out in Reykjavík is to look for the popular Happy Hours offered daily in almost every single bar in the city. That being said, I still had a beer beside my dinners and went out for “just a drink” while walking around Reykjavík a few times, but I don’t think during the entire week I was there that I spent over $65 CAD on alcohol, which is pretty decent for Icelandic price standards for a week. If you’re a constant snacker during the day, or while on road trips like I am, hitting up a bulk food store before travelling to Iceland will be a massive money saving tip. Stocking up on dry fruits, nuts, granola and protein bars will give you a much needed energy boost while hiking through the highlands, or driving for four hours straight on the Ring Road with not a store in sight. I also like to have a smaller snack bag packed with a trail mix while on flights too, so I don’t need to purchase in flight snacks for unreasonable costs. 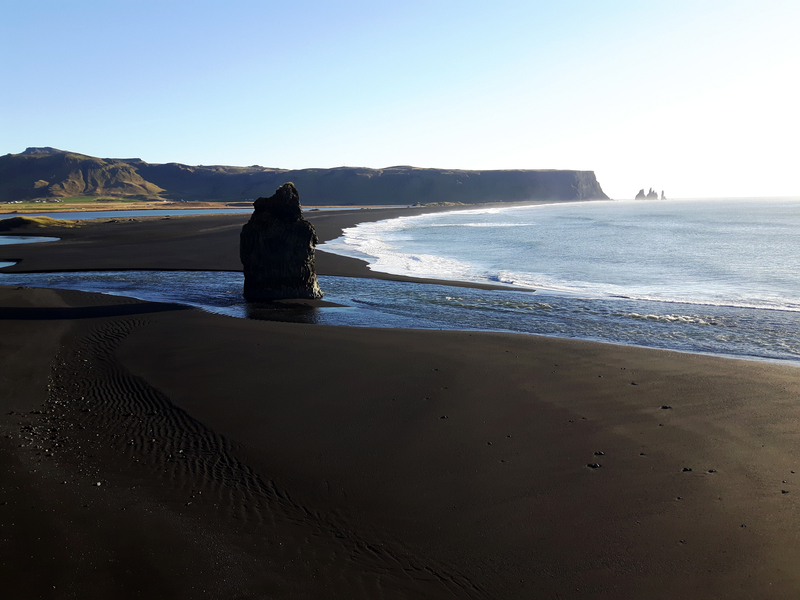 While in Vík, we stayed at an incredible guesthouse located right by the infamous black sand beaches. 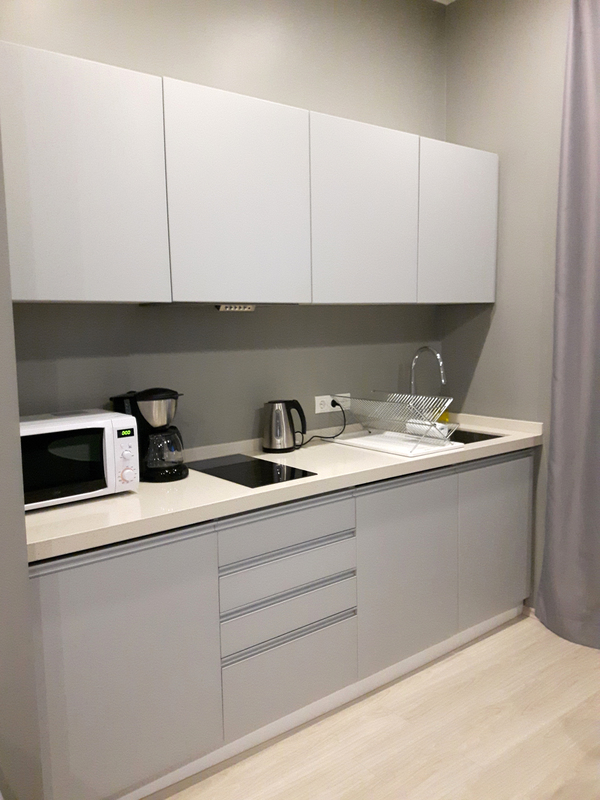 Our guesthouse came fully furnished with a kitchenette, so we made sure to hit up the local grocery store to pick up some necessities to eat for breakfast the next morning and also to make a sandwich to bring on the road with us. The most popular grocery store chain in Iceland is called Bonus (they have a pink pig on the logo), but the one we went to in Vík was called Kr Supermarket, which was a full sized and well stocked grocery store that had everything we needed at fairly reasonable prices. I picked up two full bags of food and I think it only cost me about $30 CAD, which wasn’t too bad at all considering I bought a lot of fruit, yogurt and cold pressed juices, which are naturally expensive pretty much anywhere you shop these days. Like every other European country, Iceland’s peak season is jam packed with tourists from around the globe. 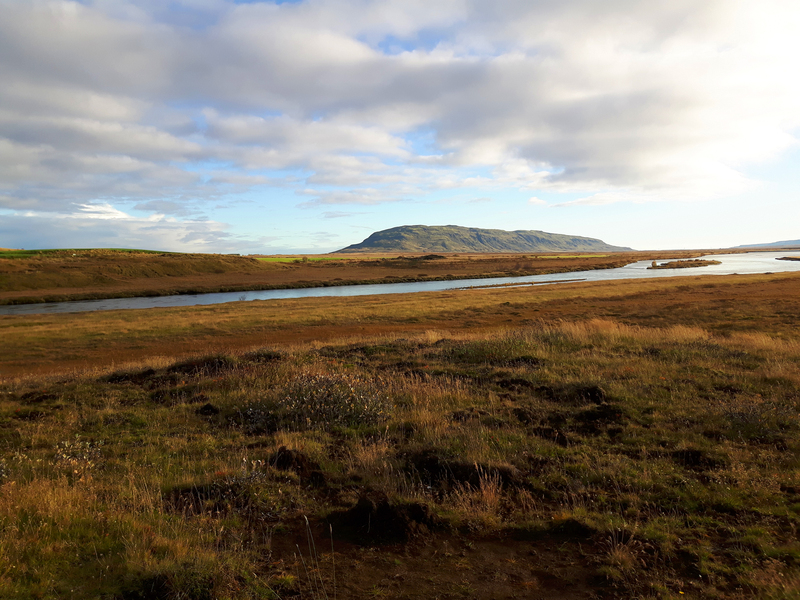 Peak season in Iceland is from May to September, so if you travel there during these months, chances are that prices are inflated and accommodations are scarce. 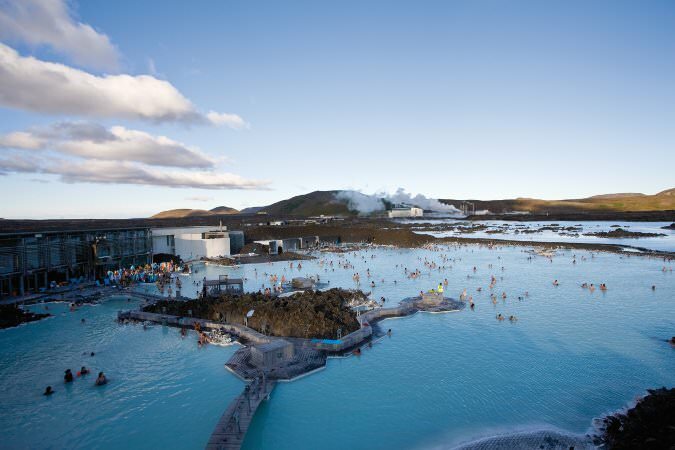 Tourism has boomed in Iceland during the warmer summer months and with a country that has just over 300,000 people living in it and over 400,000 North Americans visiting a year, there are literally NOT enough places for people to stay these days. Travelling to Iceland during off season (fall and winter months) may be your best bet to save some money and still enjoy everything that Iceland has to offer with it’s amazing scenery and incredible excursions. 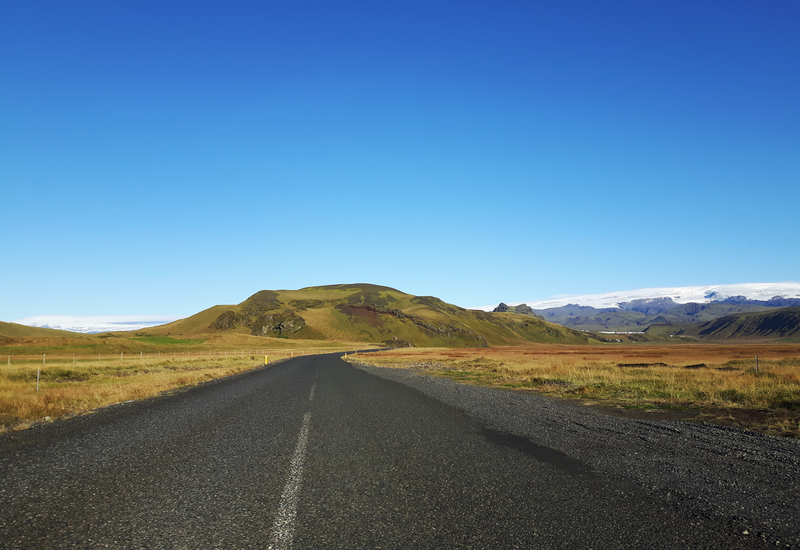 Driving on Icelandic roads during off season may come with more tumultuous weather, but if you’re comfortable driving in extreme conditions, than maybe travelling to Iceland during the winter is right for you. There is no right, or wrong time to visit Iceland, since the country looks stunning all year round! I travelled to Iceland Sept 29th to Oct 6th of this year and didn’t come across as many tourists as I thought I would have. Yes, the popular spots during peak times of the day had more people, but it definitely wasn’t overwhelming and the roads were nearly empty the entire time we were driving. Everyone will ask the same question when you return home from Iceland. “Did you go to the Blue Lagoon?” “You didn’t go to Iceland if you didn’t go to the Blue Lagoon!” If you want to save money in Iceland, I suggest NOT going to the Blue Lagoon. Yes it’s beautiful and yes it does look like fun, and yes I would probably try it out at least once in my life (my friend went on her own when she dropped me off at the airport and said it was awesome), but at approximately a $65 CAD basic entrance fee, I passed this time around. There are SO many more lesser known, natural hot springs literally everywhere around Iceland that are FREE. With just a bit of research and planning, you can find a slew of really cool and unique ways to relax and unwind your aching muscles from hiking all week in a steaming hot spring and without the large tourists crowds surrounding you. That being said, I didn’t have enough time to visit and hike to the hot spring that I really wanted to go to. *Sigh* Guess I’ll have to go back to Iceland to do that now. If there is one thing that is true about Iceland, it is that nature reigns supreme. 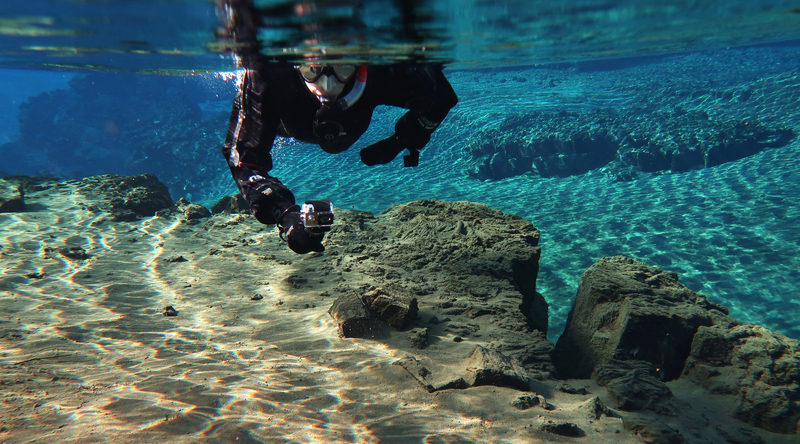 The great thing about most of Iceland’s beautiful scenery and epic photo spots? 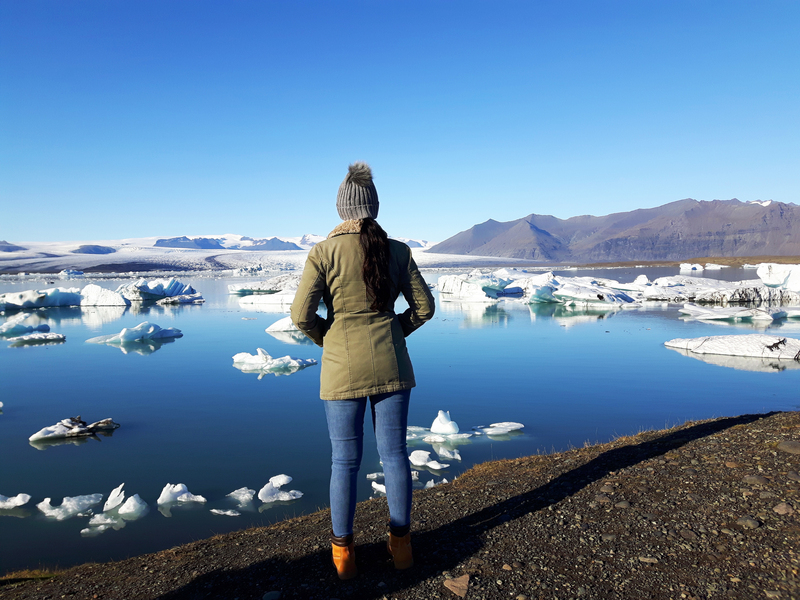 They are free to enjoy, so get outside, lace up those hiking boots and head into the great outdoors to marvel at Iceland’s mind blowing landscapes, nuzzle some Icelandic horses along the road, or have a seat on the beach and gaze into the beauty of the Jökulsárlón Glacier Lagoon. They say that the best things in life are free, and let me tell you, being in the presence of a majestic waterfall, or gazing up at a towering green mountain surrounding you is a feeling that money can’t buy. I went to Iceland many times. Sometimes with my friend and sometimes with my family. It was really an amazing experience. I enjoyed a lot there. It is really in my budget, not so much expensive. Thanks Tosh ! 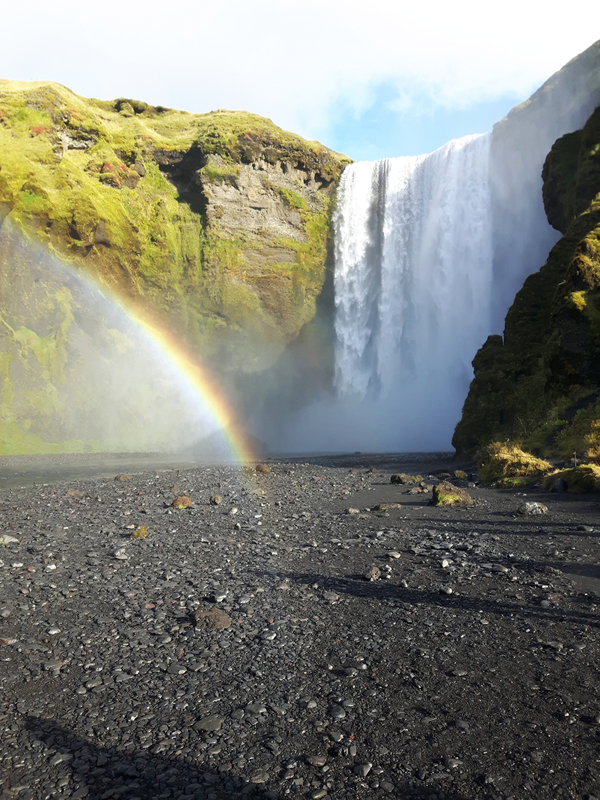 I went to Iceland and visited most of the places there through the travel agency trip guide.I have taken an experience of most of the amazing tours like northern lights and golden circle tour, snorkeling tour and many more and it was really in my budget. Hi Jill! That’s amazing! :) So glad you had a great time and was able to experience so much AND within your budget!!! =) Hope you had a blast!